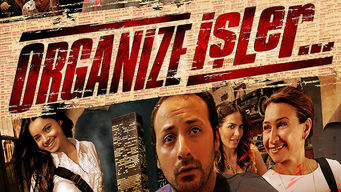 How to watch Organize Isler (2005) on Netflix India! Yes, Organize Isler is now available on Indian Netflix. It arrived for online streaming on April 4, 2018. We'll keep checking Netflix India for Organize Isler, and this page will be updated with any changes. A gang leader recruits a suicidal Superman impersonator, while a woman driving a hot car linked to the gang plots revenge against them and their hero. He steals cars and sells them. But this thief's about to have a bad day, thanks to one angry customer.